I want to cross link different reports. Example: I run coois to find scrap for the day, I then go to QM15 to get the defects of the day. I'd like to link the part numbers from coois to QM15, or any other SAP transaction. Dude, you are going to want to move this question to one of the other technical forums, fast. I want to crossdress for different sports. Example: I run in heels to do the hurdles everyday, I then get into a bikini for basketball. I'd like to line the bodice part of my dresses with silk, or any soft fabric but am worried about performance. Way to go k12rswow! Now I am sure you will get all kinds of helpful replies. Perhaps YOU should learn to read and follow forum rules first. Anyway I think Sandi's advice is the best. If you follow it you can't go wrong. you are asking a legitimate SAP question but you have not bothered to read the description of this section of the forum or this section's rules. This is the non-SAP related section, there are other areas if you try scrolling down on the board index and you will find the right pigeon-hole for your question. As bill_sd advised, move the question to the correct forum and you will most likely get something helpful, ask it here and you are asking for a world of pain. This area is for non-SAP related issues and for people to talk crap and blow off steam. Are you too stupid to read and comprehend? Can you not read that the General Discussion forum is for NON-SAP discussions? It's not as if you are owed anything, or that you are doing us a favor by allowing us to answer your question. Please feel free to go elsewhere. Last edited by ese_pinche_ABAP on Wed Jul 30, 2008 11:03 am, edited 2 times in total. Colloquial crap? 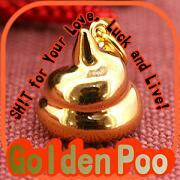 Is that anything like the golden poo? Pillock. We all think that but we're not supposed to say it! k12rswow wrote: Think about it, I am asking a ligitimate SAP question.